Say hello to little miss Pinky! She was saved from a neglect situation and was one of only 3 puppies that survived out of a litter of 11! Pinky is very sweet and playful! She does really well in her kennel and is almost completely potty trained in her kennel too! Pinky loves to play with all the other dogs (big and small) and she also loves cats! She does really well with all people, including small children. Pinky is spayed, microchipped, and up to date on all her vaccines. If you would be interested in meeting Pinky and making her a part of your family, please contact either Robert or Amanda with Happy Landings Animal Rescue (see contact info) or send us an email at HappyLandingsRescue@yahoo.com. Our adoption process begins with you meeting Pinky. Feel free to schedule a play date with her and your existing dog(s) if they are friendly. After you fill out an application, we will verify your references and do a brief home inspection. 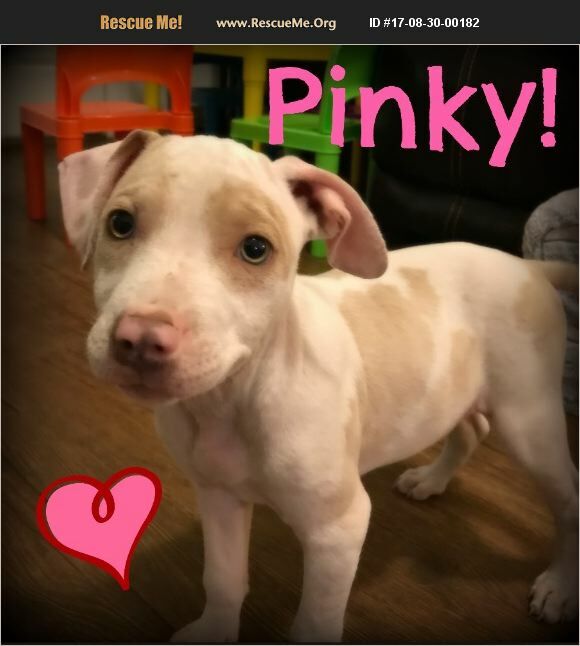 If all goes well, we will deliver Pinky to you for a small adoption fee. You will also have the option to purchase a large wire kennel for an additional fee. We then ask that you sign our adoption contract. We will do a follow-up visit approximately two weeks to one month after the adoption to insure that Pinky is adjusting well to her new home and that she is happy and healthy. We feel our adoption process is the best way to vet good owners and to guard against people seeking dogs for dog fighting, bait dogs, and/or dog sales. We only have our rescue dogs' best interest in mind and we do everything we can to insure that they go to the very best home and that it's the perfect fit.